Vincent Abadie Hafez or Zepha is a French visual artist. He transcribes calligraphy to express an art form he dubs palimpsest, best defined as the art of the secret message, revealed only to the perceptive onlooker. His sinuous lines depicting calligraphy but equally reflective of street graffiti is the art of ‘battle” opposing the traditional with the more modern forms of artistic expression. The main element discerned in this dualistic pattern becomes the “drawing line” within the empty canvas. Thus in his narrative of Beirut Hafez has drawn the lines he has witnessed in our modern society, whilst remaining reflective of its grounding history, wars and calligraphy. Loryne Atoui is a photographer, project manager and designer based in New York. She developed a particular passion for street photography and was the founder of the Beirut Street Photograhers, a hub for fostering and showcasing talents. She holds a BFA from the American University of Beirut and has taken part in several solo and group exhibitions. 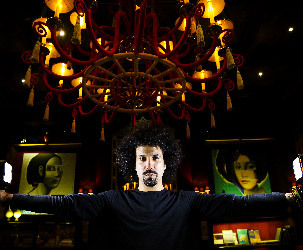 Bernard Khalil is a Lebanese photographer and founder of Demouton Productions. 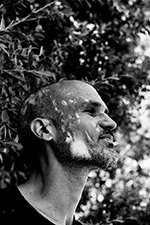 His passion for photography has taken him on several journeys, from Doha’s Tennis Tournament in 2009 and the 2011 DTFF Doha Trebeca Film Festival. Fascinated by people, light and life, Bernard captures amazing instances, “drawing with light” and aiming to shoot a fracture of a moment that will translate to the spectator. Nadine Mourad is a Brazilian/Lebanese Producer and Media Professional with over 17 years of experience in both the creative and business side of filmmaking. 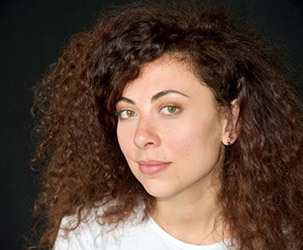 With a diverse portfolio spanning California, Brazil and Lebanon, she has written, directed and produced nine short films and two documentaries “iZlamophobia” and “The making of the Other and Stolen Rights”. She has previously worked with Porchlight Entertainment, a production and distribution company in Los Angeles, in TV distribution and has freelanced in every facet of the film production industry. In Brazil, she has freelanced for several companies, including Sewel Films and Delta and worked with Focus Films as a local producer. And as such the first in house documentary Condor won the Special Jury Prize as best Brazilian Feature at Festival de Granada and Best Documentary Feature at the Rio Festival in 2007. Her clients included Pathé Films, Endemol Italia, TF1, Discovery Canada, Mandarin Cinema, Ridley Scott Associates, Al Jazeera Network and several others. 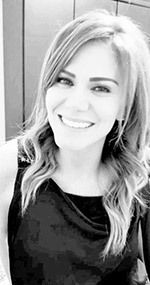 Nadine is currently based in Lebanon and is the co-founder of Millenia Features. She graduated from the Ohio State University with an AA in Communication Arts, the New York Film Academy with a Filmmaking certificate and Full Sail University with a B.S in Film and Video Production.